We've fully embraced the world of Pokemon in our house. And honestly, Pokemon has been wonderful for my son with autism on so many levels (I will save that for another post though). So while he's been learning the names (and weights and types and heights and attacks!!) of every single Pokemon character, I have been as well. So has my youngest son. Since things are a little Pokemon-obsessed around here lately, I thought it would be fun to let the kids make DIY Pokeballs as we've already designed our own Pokemon characters. 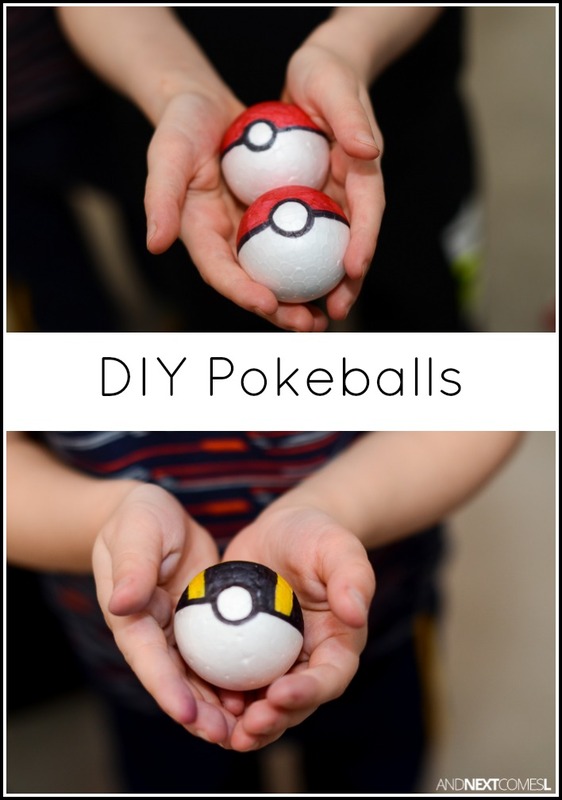 These homemade Pokeballs make a great craft for older kids and are an awesome homemade toy for encouraging imaginative play. 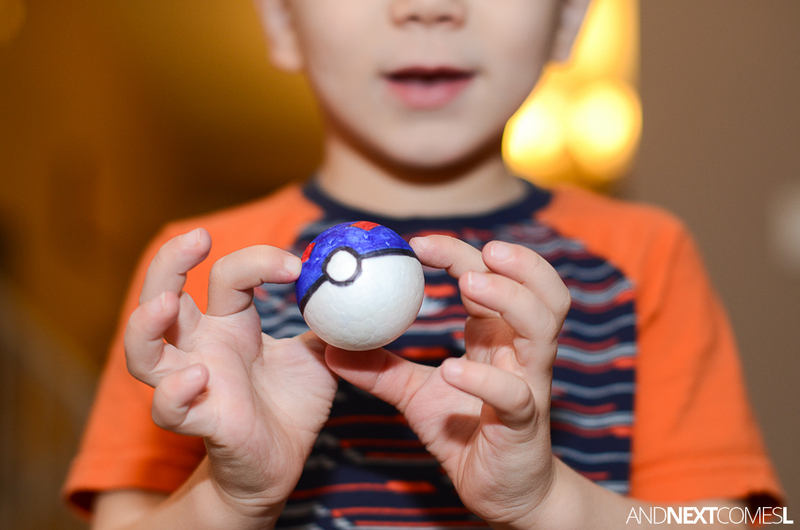 But I could see them making a great party favor for a Pokemon themed birthday as well. Styrofoam balls - Pick a size that will fit comfortably in your child's hands. I started off by making the regular Pokeballs for the kids. Six year old J made one of this own as well, but of course, it disappeared by the time I could take pictures. His turned out really great! 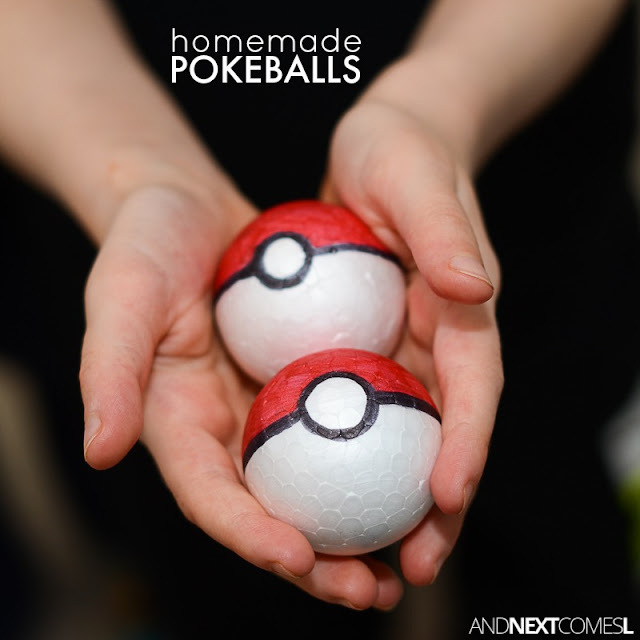 So depending on the age of your child, they could certainly make their own Pokeballs as well. 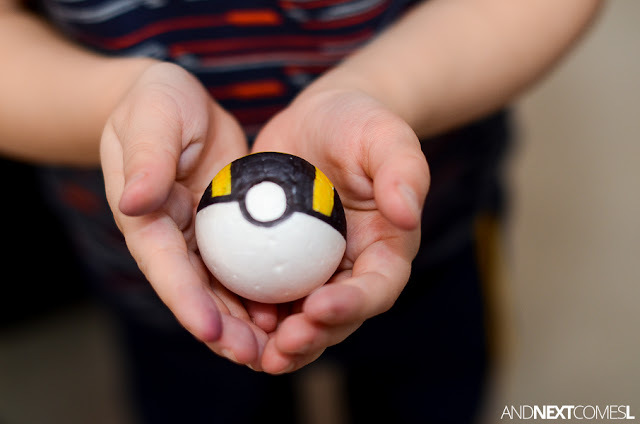 It would be a great craft for kids who really love Pokemon. 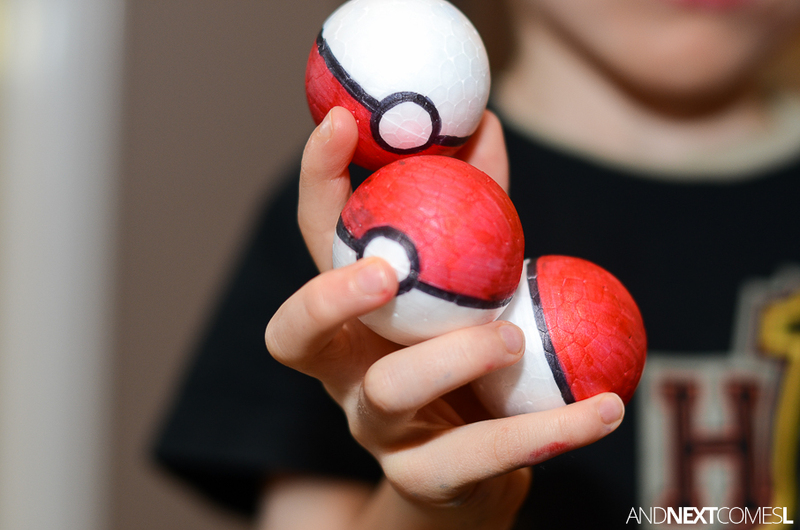 Or have your child design their own Pokeballs using these free Pokeball coloring sheets before making the 3D version. 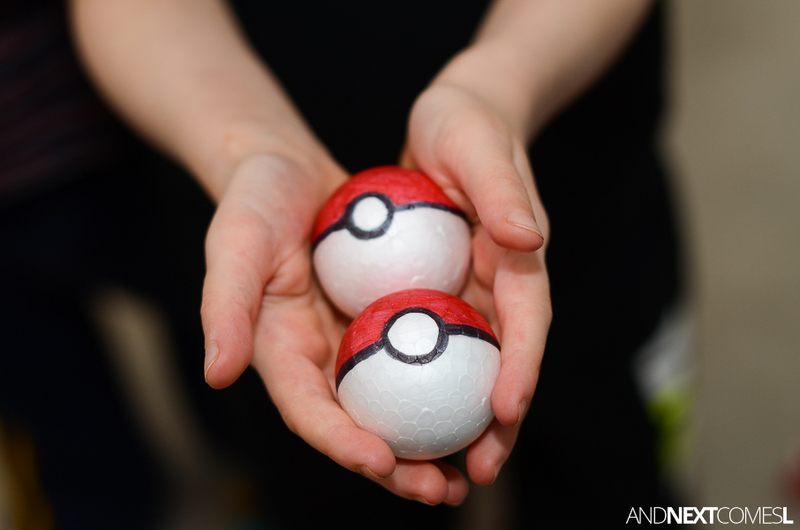 I also tried making some of the other types of Pokeballs, including an Ultra Ball and a Great Ball, which the kids love as well. However, these two are four year old K's favorite of the bunch. 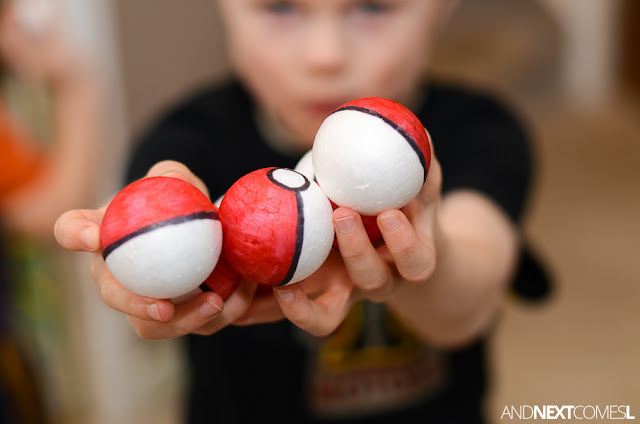 My 7 year old autistic son wants A POKEMON themed party this year. Thank you for the ideas! Awesome! Hope the Pokemon party turns out well!